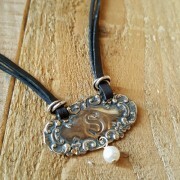 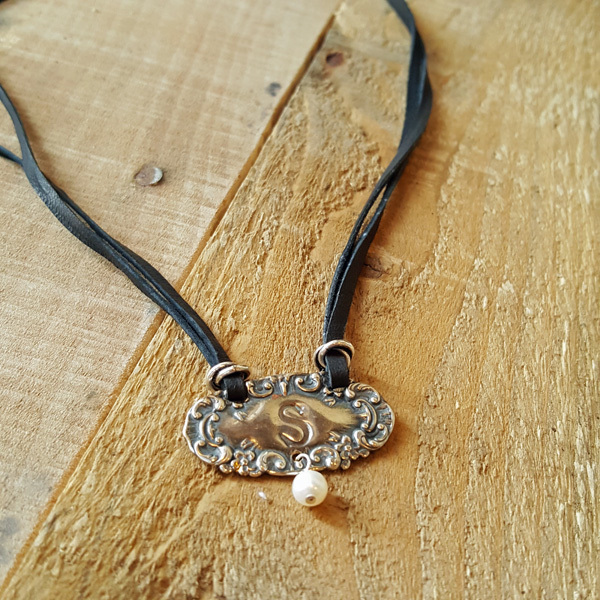 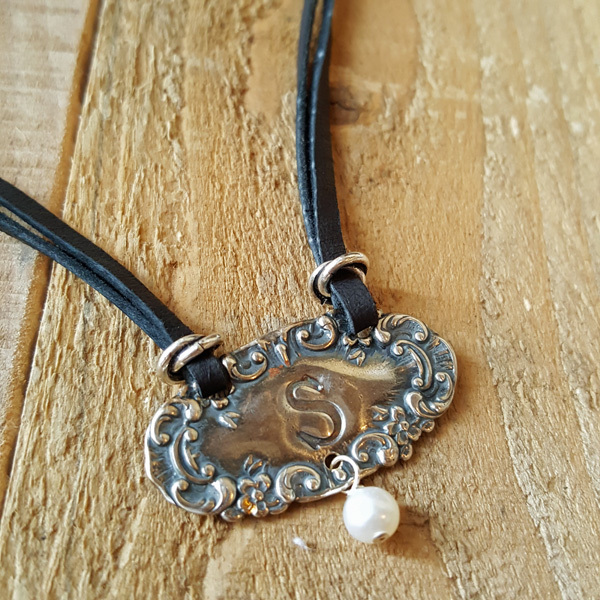 Another new Initial Necklace, this one is sure to be a hit. 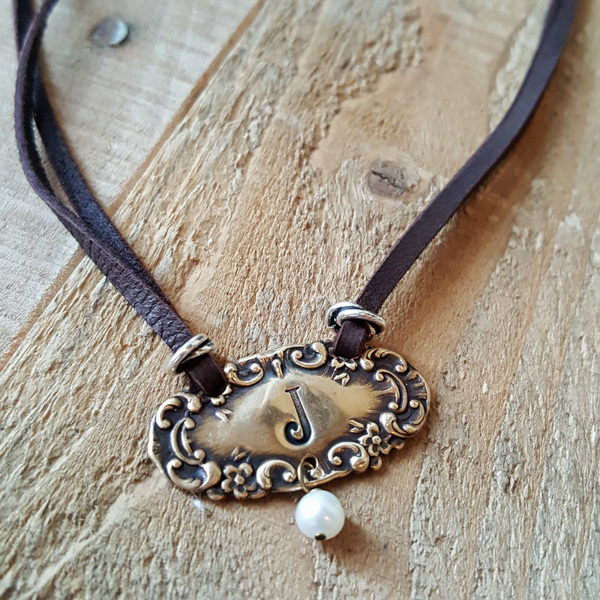 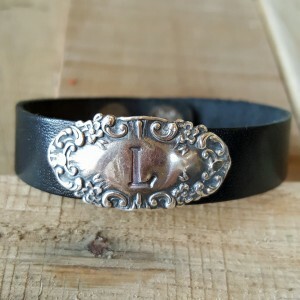 Simply choose your choice of metal finish, your letter(s), and the color of the soft and sturdy deerskin, and we do all the rest! 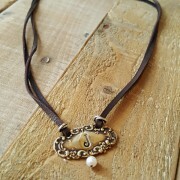 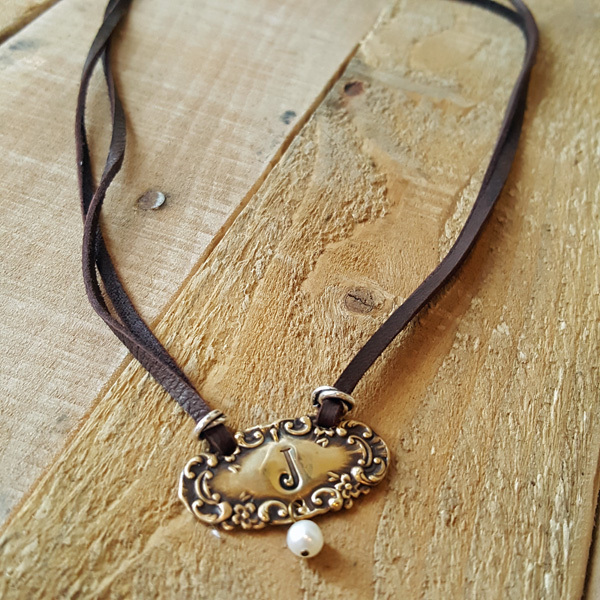 Made with a genuine freshwater pearl, this is a custom made piece at a great price. Available in 16 or 18 inch length.